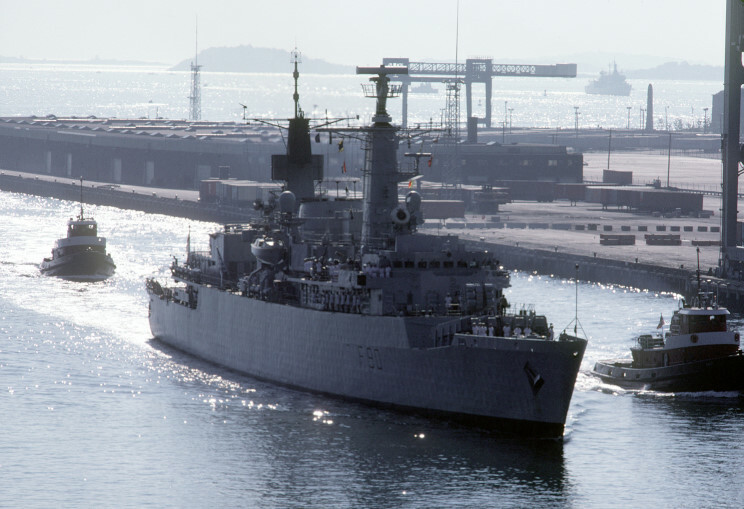 HMS Brilliant F-90 seen in 1981.
fire from aircraft. 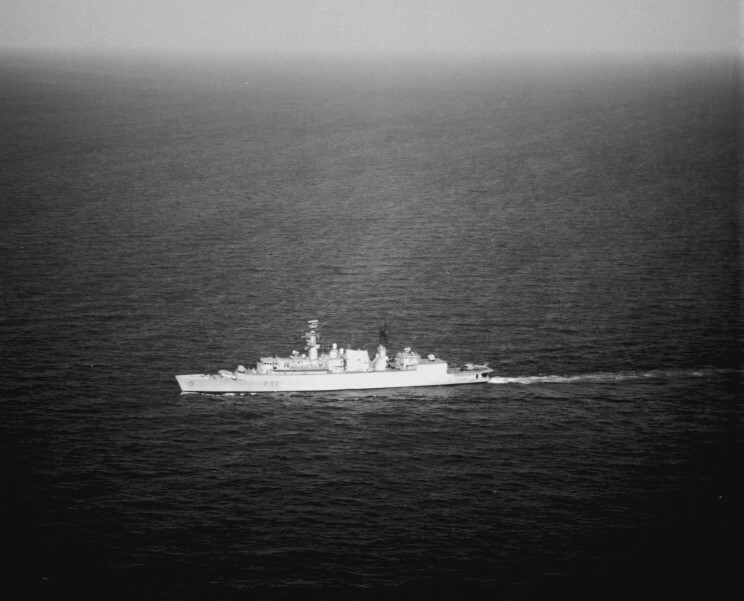 The damage put the forward Sea Wolf missile system out of action. 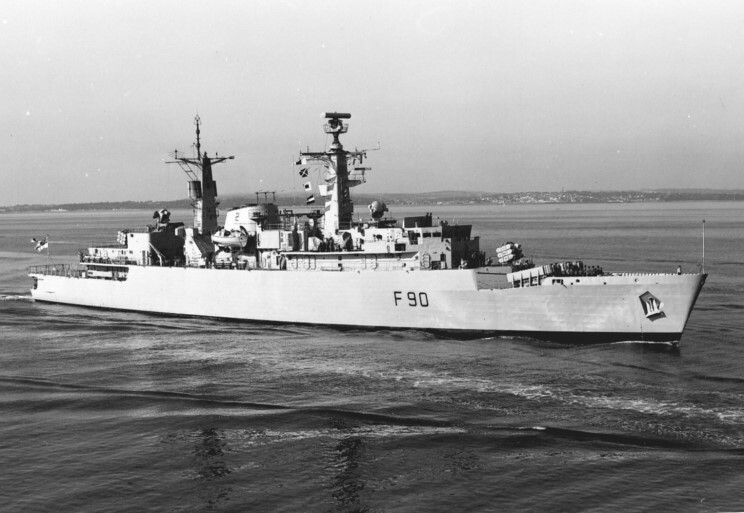 HMS Brilliant F-90 seen in 1984. 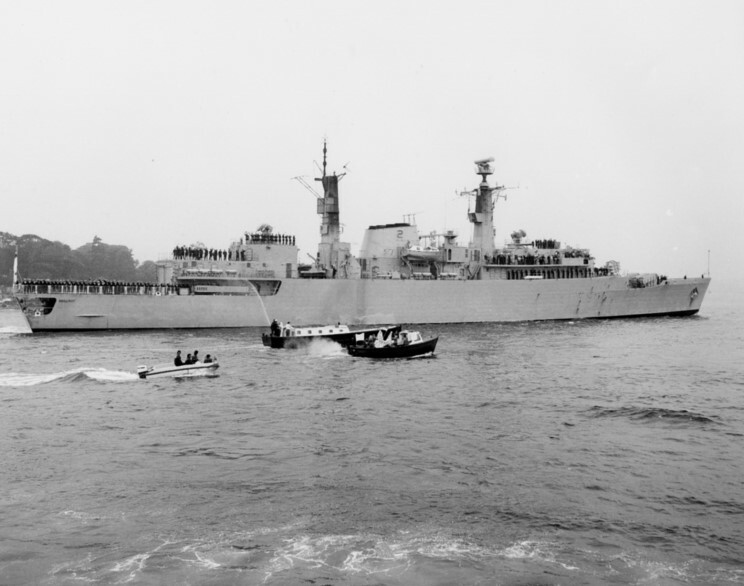 January 1985: HMS Brilliant F-90 seen during Exercise Ocean Safari 85. 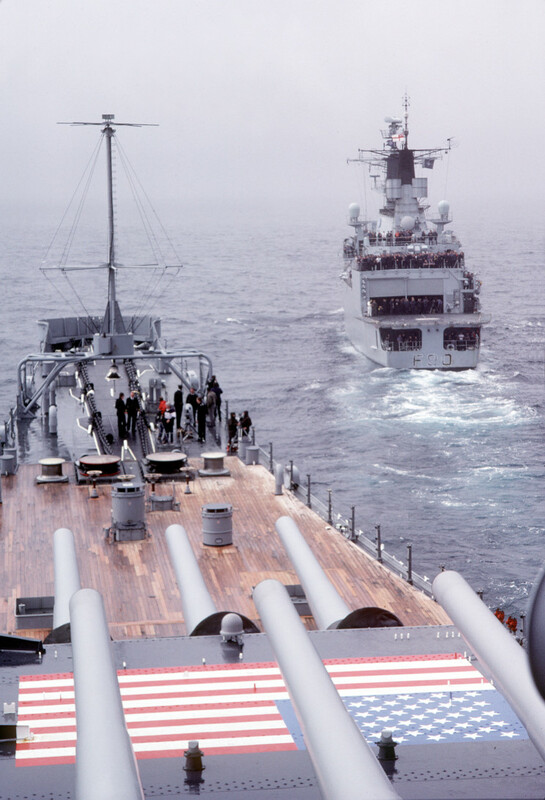 January 1985: HMS Brilliant F-90 seen from the USS Iowa BB-61 during Exercise Ocean Safari 85. 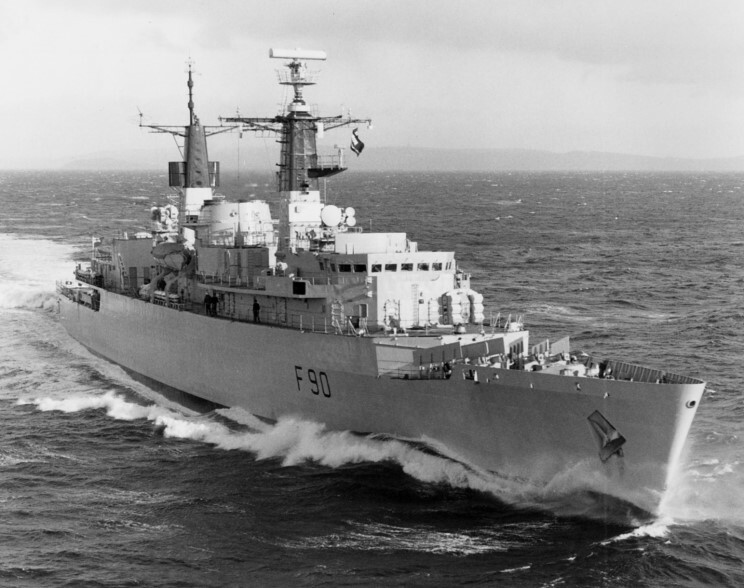 November 15, 1995: HMS Brilliant underway.